The 2018 Hero Passion Pro and Passion XPro come with the automaker’s I3S technology. The latest iteration of the popular commuter motorcycle gets revised styling along with a new engine. Hero Motorcorp has launched the 2018 iteration of the Passion Pro and the Passion XPro bikes in India. The latest iteration of these commuter motorcycles come with new design and a new engine. Hero claims that this new engine offers 12 percent more power along with 12 percent more torque. These two motorcycles will help Hero retain its stronghold on the commuter motorcycle segment in India. The 2018 Hero Passion Pro will retail at INR 53,189. 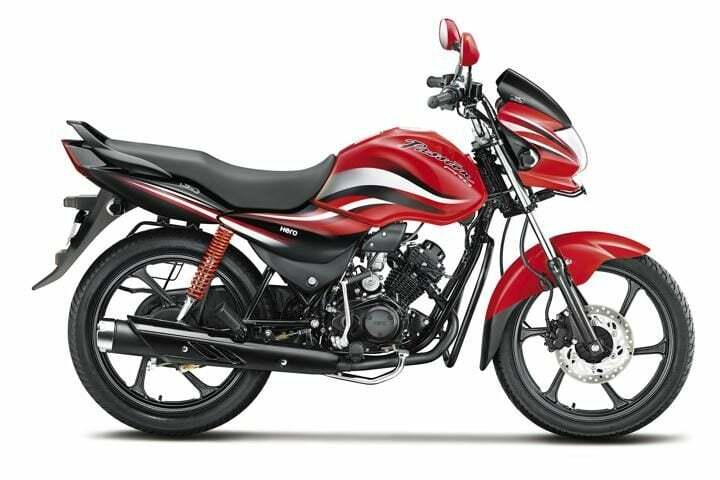 On the other hand, the 2018 Hero Passion XPro costs INR 54,189. These prices are ex-showroom, Delhi. Both the 2018 Passion Pro and the Passion XPro get the same engine. The unit is an air-cooled, BS-IV complaint single cylinder engine. This motor produces 9 BHP of power along with 9 Nm of peak torque. Hero claims that this engine offers 12 percent more power and torque in comparison to the older motor. 0 to 60 km/h comes in 7.5 seconds. Not only this, but the bikes comes with Hero’s i3S (idle-Stop-Start-System) technology which makes it a little more fuel efficient. The 2018 Hero Passion Pro comes with features like Digital-Analog Instrument cluster, Digital Fuel Gauge, Trip Meter, All-Time Headlamp On (AHO) and Side Stand Indicator. The 2018 Passion XPro comes features like Dynamic Shrouds, Dual-tone Mirrors, LED Tail-lamp, Digital Analog Instrument Cluster, Digital Fuel Gauge and All-Time Headlamp On (AHO). The 2018 Passion Pro measures 1962 mm in length, 720 mm in width and 1087 mm in height. it has a wheelbase of 1235 mm while the seat height is at 780 mm. The bike offers a ground clearance of 165 mm. 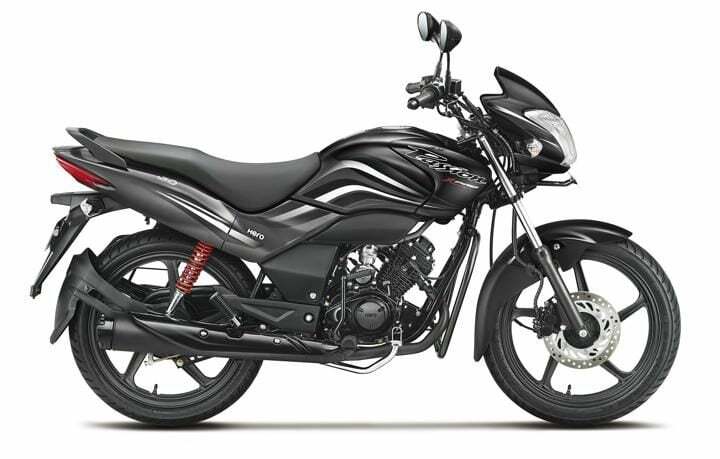 The 2018 Hero Passion XPro, on the other hand, measures 1966 mm in length, 774 mm in width and 1087 mm in height. The bike has a wheelbase of 1245 mm along with a seat height of 790 mm. It has a ground clearance of 165 mm. Both the bikes are available in drum and disk brake variants. The front drum brakes are 130 mm while the rear drum is 130 mm as well. The disk brake variant gets 240 mm disks. Both the bikes come with Telescopic Hydraulic Shock Absorbers at the font. On the other hand, the rear gets Swing Arm with 5-Step Adjustable Hydraulic shock absorbers. The 2018 Passion Pro comes in the following colours like Sports red, Black monotone, Force silver metallic, Heavy grey metallic and Frost blue metallic. On the other hand, the 2018 Passion XPro comes in the following dual-tone colours: like Sports red with black, Black with sports red, Force silver with black, Black with techno blue and Black with heavy grey.